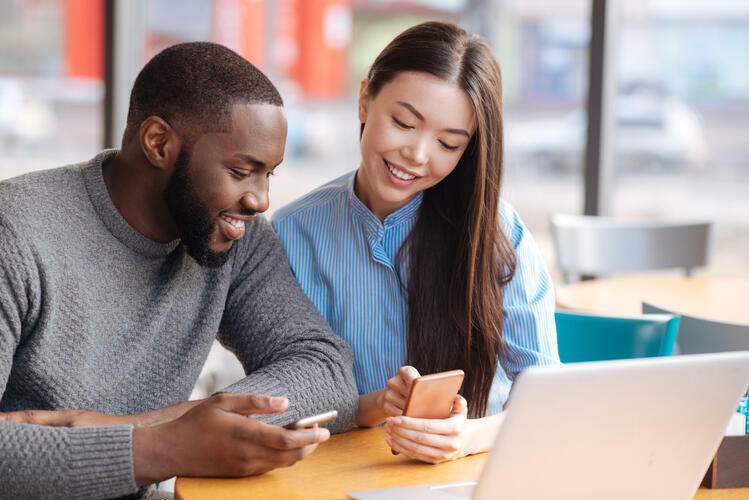 This generation’s preferred mode of communication is digital, primarily through social media and texting – a trend that’s forcing institutions to rethink and redefine their approaches when it comes to traditional banking, technology, and communication. Credit Union Journal recently reported on a research study that surveyed approximately 2,500 Gen Zers between the ages of 16 and 18. Fifty-seven percent of respondents said they use their smart phones several times an hour, 55% base product purchasing decisions on information they found on a social networking site like Instagram or Snapchat, and 44% plan on augmenting their banking services with technology solutions from fintechs (compared to 28% of Millennials). With it looking like Gen Zers will be more open to non-traditional financial tools and programs than Millennials, Gen Xers, and Baby Boomers, institutions need to make sure they don’t lose out to fintechs. Part of your approach in marketing to Gen Z should be meeting potential customers on their own turf, which means communicating via text, live chat, and social media. Offering digital capabilities like remote deposit capture and mobile banking. Offering loyalty rewards. Gen Zers are used to rewards programs, thanks to companies like Starbucks and Sephora, who reward customers with points for their patronage. Sending targeted messages to their mobile devices. Emphasizing budgeting tools and automatic savings options. Because a lot of Gen Zers witnessed their parents taking financial hits during the Great Recession, they tend to be more financially conservative. Using social media to build your brand (rather than selling a product). Pushing to get your credit and debit cards loaded onto their Apple Pay or Samsung Pay platforms so you stay top-of-wallet. Offering automatic deposits to savings accounts and allowing Gen Zers to direct savings into self-defined buckets like college and cars. Gen Zers are the first frontier of truly digital native customers. If you want your institution to appeal to this tech-savvy and mobile-centric generation, you need to offer technology that allows for quick and convenient communication across all your channels. Now that you understand how to market to the true digital natives, learn how your institution can retain the Boomer generation during this evolution. Credit Union Journal: How some credit unions are working to attract and retain Gen Z members. April 4, 2018.